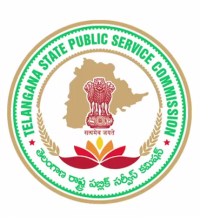 TSPSC Bill Collector Recritment 2018: Apply Online For 124 Telangana GHMC Bill Collector Posts. Applications are invited Online from qualified candidates through the proforma Application to be made available on Commission’s WEBSITE (www.tspsc.gov.in) to the post of Bill Collector in Greater Hyderabad MunicipalCorporation in the State of Telangana. ii. Last date for submission of ONLINE applications Dt. 10/08/2018.The payment of Fee will not be accepted after 11:59 P.M of last date for submission. The Examination is likely to be held on Dt.07/10/2018. The Commission reserves the right to conduct the Examination either COMPUTER BASED RECRUITMENT TEST (CBRT) or OFFLINE OMR based Examination of objective type. Post code. Name of the Post No. of Vacancies Age as on 01/07/2018 Min. Max. Scale of Pay Rs. Post Code Name of the Post Educational Qualifications as specified by the G.O.Ms.No.156 MA&UD (F1) Dept., Dt.31-05-2016. Bill Collector Must possess a Degree from any University in India established or incorporated by or under a Central Act, Provincial Act or a State Act or an Institution recognized by the UGC. III STEP:- Immediately on entering the above details, the applicant will get payment gateway of SBI ePay. IV STEP:- The applicant should pay the prescribed fee as specified through any of the four modes of payment online. Separate instructions have to be followed for each mode of payment. V STEP:- After payment of fee, the PDF Application will be generated which contains the particulars furnished by the candidates. The ID No in the PDF Application form has to be quoted for future reference/correspondence.